This month, we welcome Yaminah Noonoo as our new Leadership Manager, based in Chicago. 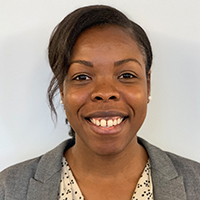 Yaminah previously served as the Associate Director of Trustee and Board Engagement at the University of Chicago Cancer Research Foundation, where she oversaw strategic interactions with trustees, volunteers, donors, and prospective donors. Her responsibilities included leading, organizing, and managing UCCRF board meetings, tours, and events. She also worked in career and alumni external relations at the Manchester Business School’s Middle East Centre in Dubai. Yaminah holds a bachelor's degree in economics from the University of Illinois at Chicago and a Master's in Public Administration from Hamline University. We’re glad to have you at APA!